DESCRIPTION Judicial Sale! Come and see this superb four bedroom two storey home located in the West community of Strathcona Park. Almost 4000 sq. ft. of luxury development on three floors including the walk out basement. Located on a quiet street with views of the city and downtown this exceptional home features a bright and open floor plan with 10 ft. ceilings, hardwood and tile flooring, generous kitchen with granite counter tops and rich wood cabinets, formal dining room and living room with built ins and gas fireplace. Main floor den/office, front foyer/entrance, laundry and half bath round out the main floor. The upper floor has a flex room/office with built in, huge master bedroom with balcony, views of downtown, five piece ensuite and walk in closet. Two more spacious bedrooms and full bath (separate tub and shower) complete the upper floor. The walk out basement is fully finished with plenty of storage, family room, full bath and fourth bedroom. The yard is landscaped with brick patio and retaining walls. 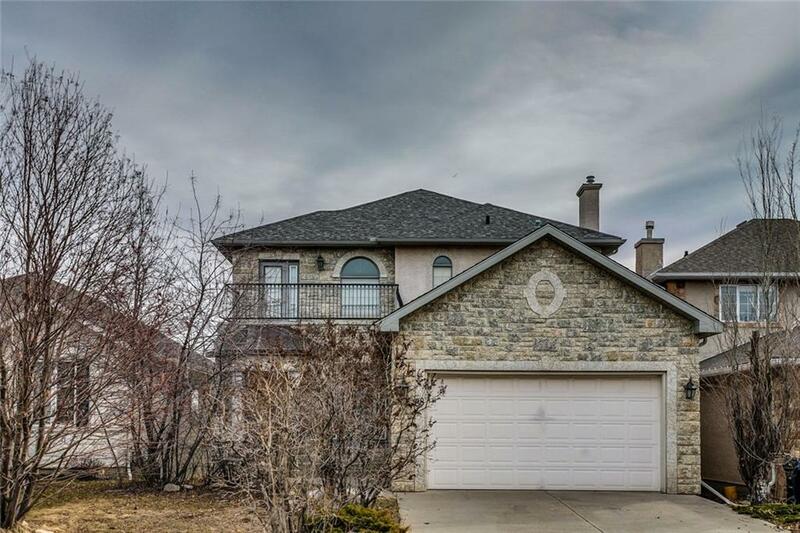 Easy access to downtown, Westhills Shopping Area, great schools and the C-Train. Property sold on an 'as is' basis with no warranties or representations of behalf of the seller or its agents. Schedule A and certified deposit to be included with all offers.